CAS is a mandatory core component of the International Baccalaureate programme. It aims to provide a 'counterbalance' to the academic rigour of the educational programme. 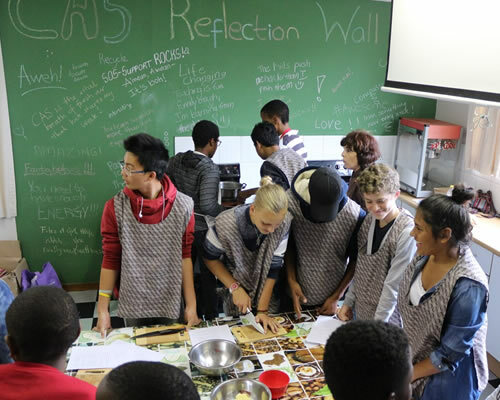 Students participate in a variety of CAS experiences over an 18 month period. It is recommended students dedicate approximately 3 – 4 hours per week on CAS. The following activities and programmes are all part of the CAS programme at Waterford. 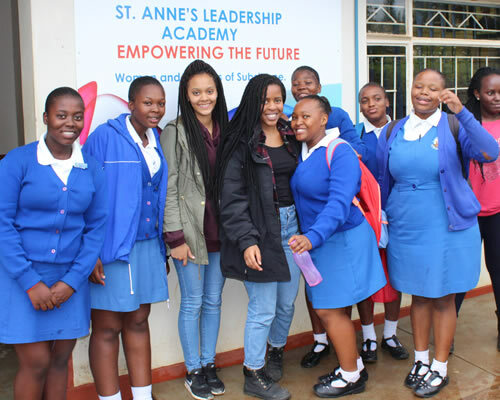 Community Service is a practical opportunity for Waterford Kamhlaba students to make a real difference in the local communities of eSwatini, and to learn the importance of community engagement. The programme brings our students together with people from often vastly different circumstances to their own, which opens their eyes to social issues and the potential to make change. Their experiences shape their ambitions and their priorities, so that when they enter the world of work their choices will be informed by their social conscience. Our IB and Form 5 students are involved in over 50 projects a week. For the first time this year our Form students have also been involved in timetabled service activities. Msunduza Care Point – This is a care point that has a pre–school and provides a meal for the children at the school. Our students have worked hard to brighten up the school through various decorations and they have helped the teachers working there, through the introduction of a new teaching scheme that follows a theme each week making the new pre–school curriculum exciting and informative. They also play with the children and spend a very happy few hours there each week. AWARE – this is the animal welfare and rabies education comserve. These students work at the animal welfare centre (SAWS) each week. While they are there, they help to socialise the kittens and the puppies so that they become more ‘’adoptable”. They also exercise the dogs and generally help with the care of the animals. This group has also recently taken part in a spay weekend in which they successfully spayed a number of animals under the guidance of a registered vet. SOS Sportand Swimming – Children from SOS Children’s Village come up to Waterford to take part in different sporting codes like basketball, volleyball, football and netball. We also take a group of younger children, each week, to a pool to help them with water safety and swimming skills. Vision Comserve – This is an eye testing project that the IB 2 students work on. After some initial training the students visit primary schools in Mbabane each week, where they test the eyesight of Grade 4 pupils. If they discover any problems with the children’s sight they refer the children to an optometrist in Manzini where the children have a full eye test. Whatever is then needed as treatment is organised and Waterford pays for it. The final step is the delivery of the glasses to the children. This project is a joint venture with UWCSEA, our sister college in Singapore, who donates the money to pay for this project. 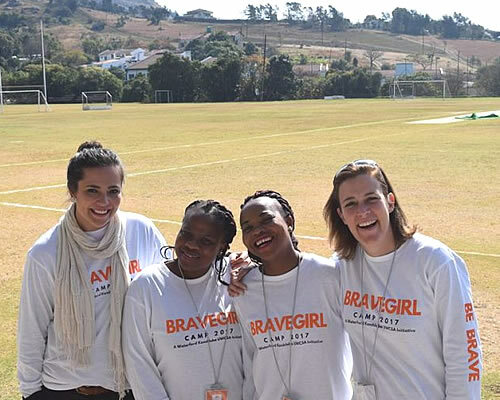 Government Hospital Service – Each week our students work in the Mbabane Government Hospital. They work in the pharmacy packing tablets for use in the hospital and for the out–patient clinics. Sobhiyozo Pre–school – Our students work with the pre –school children engaging in creative and sporting activities. Salvation Army – Waterford students visit the Salvation Army to cook for the elderly people visiting the clinic. They cook for about 30 people each week. Careers Support Initiative (CSI) – This project aims to empower students in local schools so that they can make more informed decisions about their future direction. This project culminates with the organisation of a large careers fair during the second term. CSI celebrated its 10th year and held the largest Careers Fair to date hosting about 2000 students over the course of the afternoon. 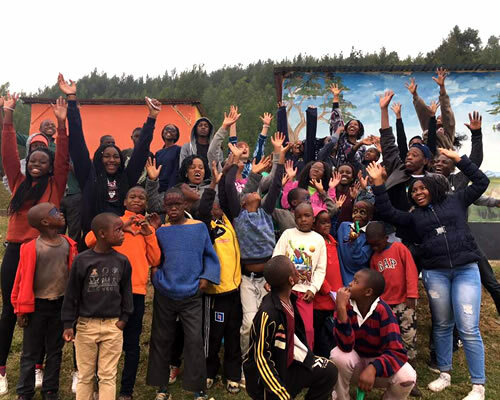 Mpaka Refugee Camp – This is a community service activity that takes place during the weekend. It is a rewarding experience for both the Waterford students and the adults and children who live in the camp. Many Waterford students establish friendships with the residents at Mpaka. Permaculture Garden – The Form 3 students have taken part in gardening in the new permaculture garden on campus and after learning how a garden works and what it is like to garden each week they have also worked in the kitchens helping to prepare the lunch service by chopping salad items, washing the lettuce, cleaning the tables and putting out all the items for lunch.